Billings Bridge-Alta Vista is bounded by Smyth to the north, Heron and Walkley to the south, just west of Featherston Drive and Lynda Lane, and the Rideau River and Bronson to the west. This neighbourhood is one of the oldest communities in Ottawa. The area was originally a village that was named after Bradish Billing, who settled in the area in 1812. The bridge “Billings Bridge” was built in 1830, and later remodeled in 1916 to the structure that exists today. 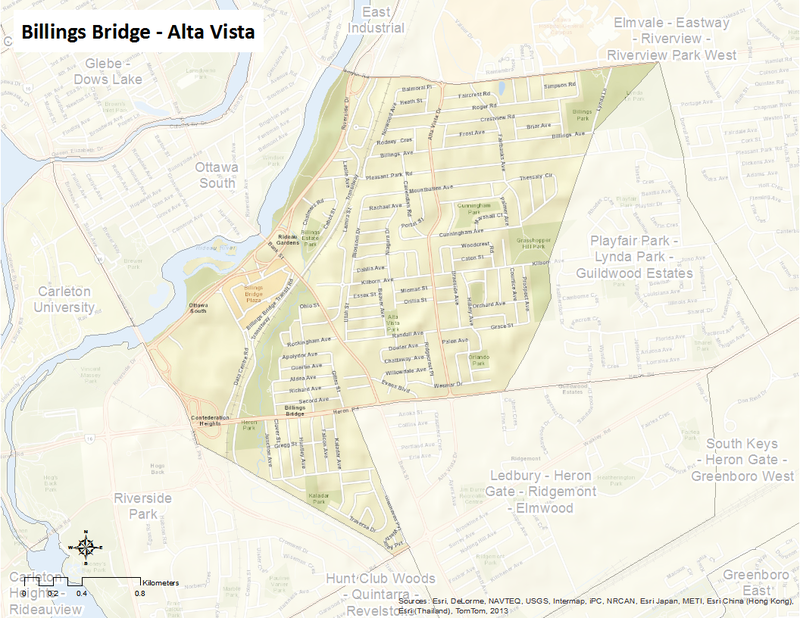 The neighbourhood also includes Alta Vista, which was named for the elevation in the neighbourhood that sits on the rise above the Rideau River valley. This neighbourhood includes the communities of Billings Bridge, Alta Vista and Clementine. Here is an infographic that describes Billings Bridge-Alta Vista as a Village of 100.